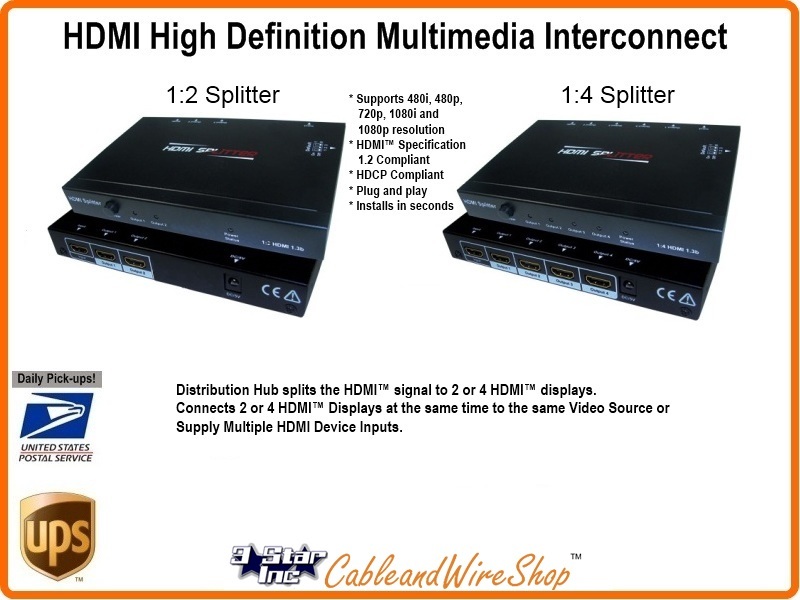 HDMI Distribution Hub splits the HDMI signal to 2 HDMI displays. Connects 2 HDMI Displays at the same time to the same Video Source. Supports 480i, 480p, 720p, 1080i and 1080p resolution 1.3 and HDCP Compliant. Plug and play, installs in seconds.